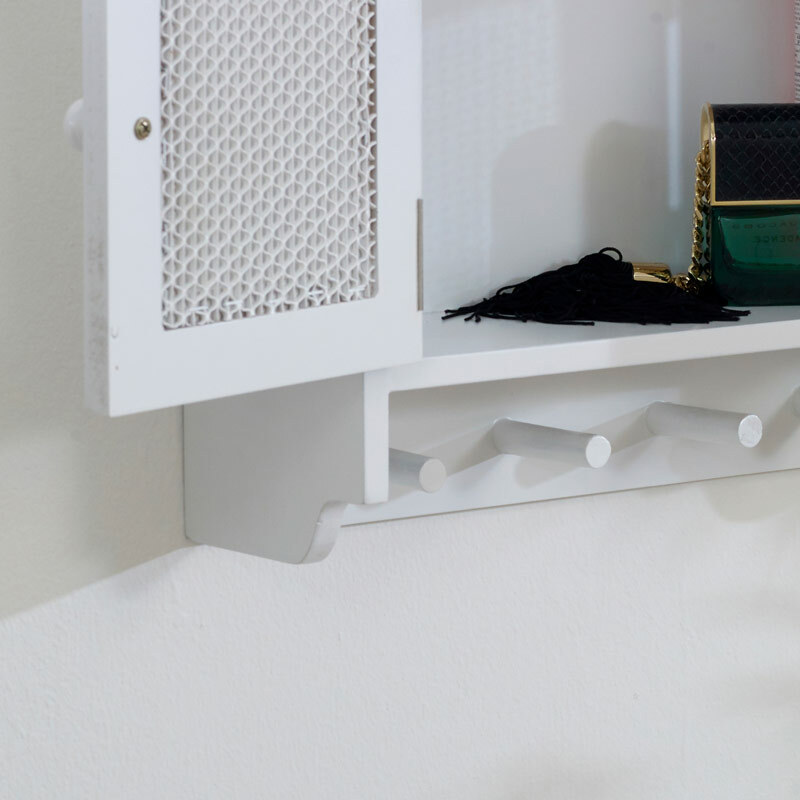 This White wall cabinet with Hooks is from the Lila Range and would make great vintage, shabby chic style wall storage for a kitchen, bathroom or bedroom. Complete with French style detailing and hooks. Ideal storage for the bathroom and will easily fit toiletries, medicines and all those little lotions and potions. Both doors feature a mesh front and rose carved door knobs and magnetic for secure closing. 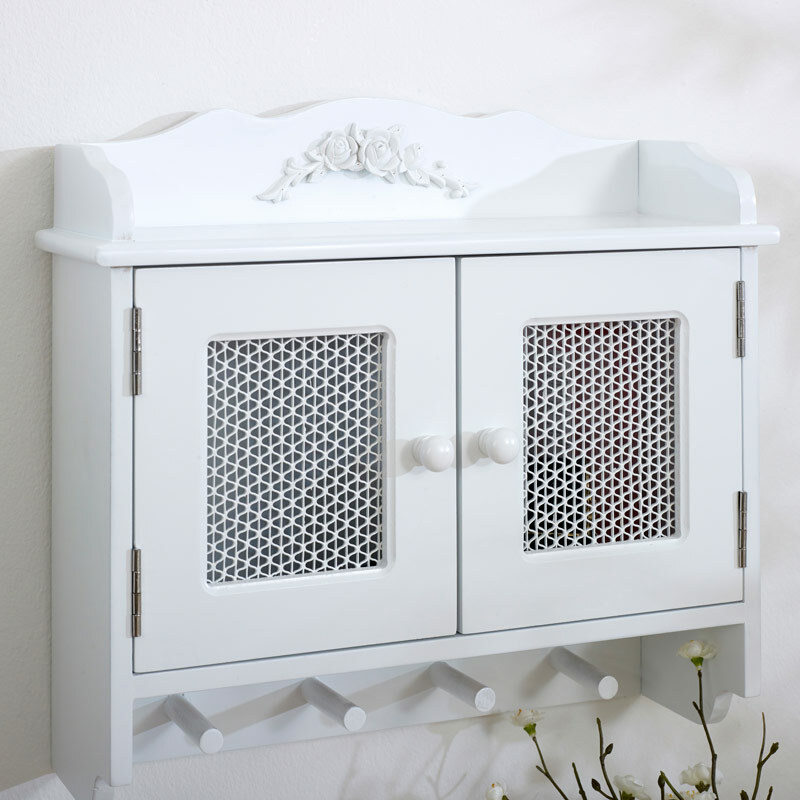 Of course this cabinet does not have to stay in the bathroom, being so pretty and very versatile you can wall mount this in the kitchen or bedroom for that additional storage. 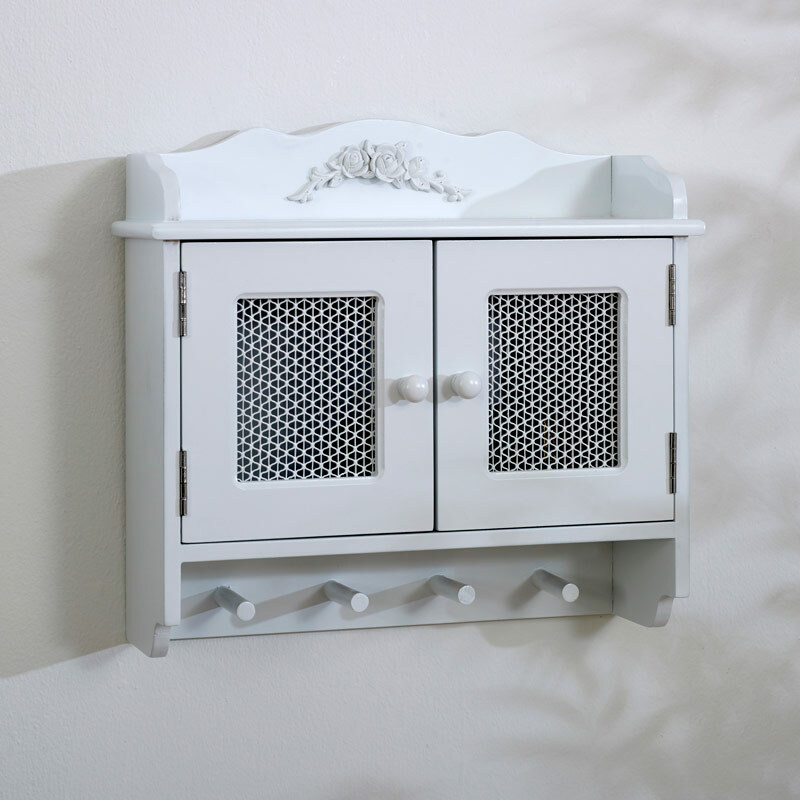 This White wall cabinet with Hooks is from the Lila Range and would make great vintage, shabby chic style wall storage for a kitchen, bathroom or bedroom. Complete with French style detailing and hooks. 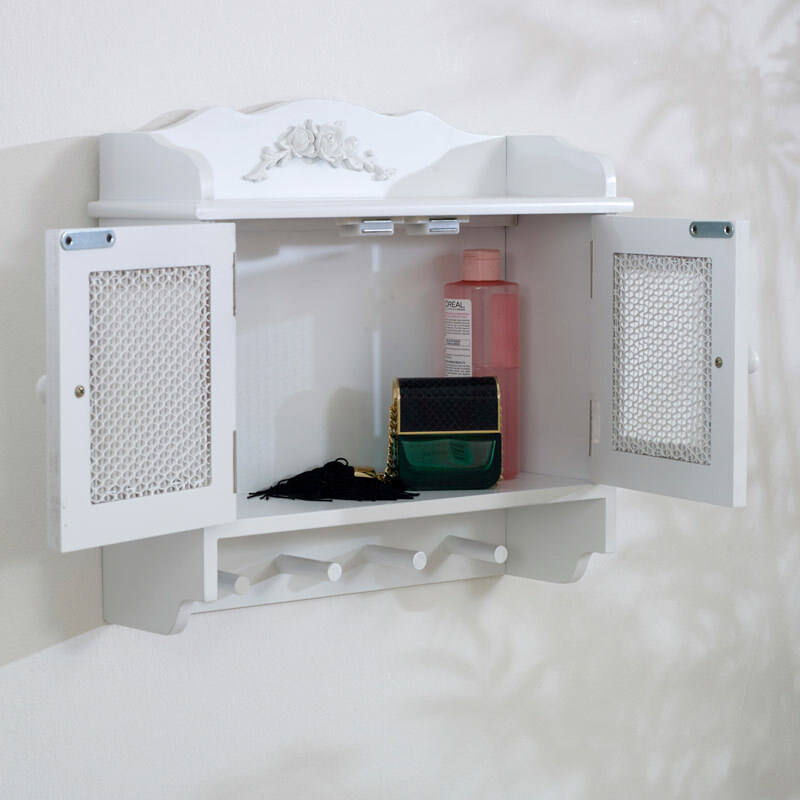 Ideal storage for the bathroom and will easily fit toiletries, medicines and all those little lotions and potions. Both doors feature a mesh front and rose carved door knobs and magnetic for secure closing. Of course this cabinet does not have to stay in the bathroom, being so pretty and very versatile you can wall mount this in the kitchen or bedroom for that additional storage. Made from wood and painted white with metal mesh on the doors. The cabinet comes fully assembled and is easily wall mounted. With a wide range of wall cabinets and shelving to choose from that will both complement and complete any decor, from the idyllic French country cottage to the more rustic and fab retro to the more modern industrial style, in wood or metal, we have the perfect cabinet for you. From the occasional furniture collection, this wooden Wall Cabinet has 4 hooks beneath the mesh fronted double doors of the cupboard. There are rose handles to the cupboard and there is floral detailing above it on the fascia. The doors are a slightly darker cream paint compared to the unit itself giving a distressed vintage finish. 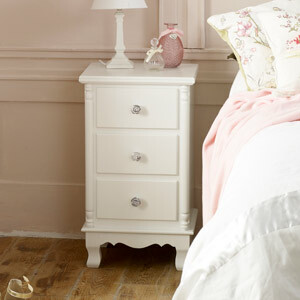 It has the French look and would complement any room where you are trying to achieve a styling of this kind. Its dimensions are 42.5 cm x 39 cm x 14 cm (width x height x depth). QCan you tell me the size of the actual cupboard space please. Many thanks.